Don’t we all love them? The famous shortcut keys for doing stuff with just a few clicks on the keyboard instead of having to do it manually. 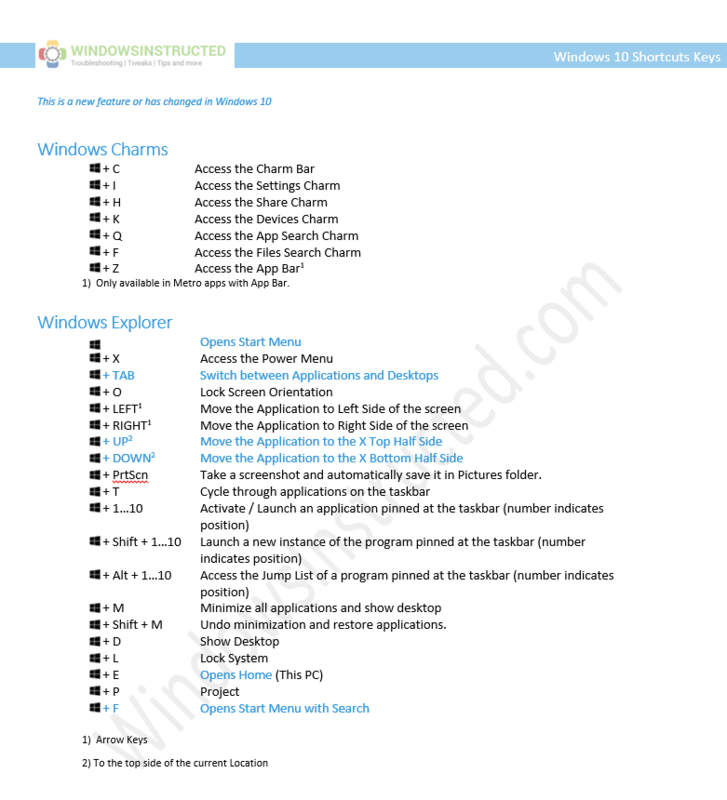 We’ve build a list for you, including all the useful Windows Shortcuts. Rather have it in PDF? Want to keep updated on new shortcuts in upcoming Windows 10 Updates? Then follow us on Facebook or any other social network!